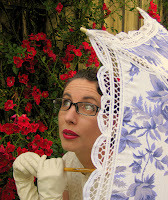 Gail Carriger's Parasol Protectorate books are taking the literary world by storm . . . a saucy, steam-powered, tea-loving, firmly-corseted storm! And it's no surprise, really. 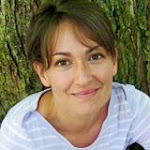 With her books about Alexia Tarabotti, a soulless woman living in a very different vision of Victorian England, Carriger has created a brilliant new heroine, at once modern and very much a product of her times. And then she's given her a wonderful setting to play in, and a host of fabulous new characters to interact with. If you haven't tried SOULLESS, the first Parasol Protectorate book, you really should treat yourself. But first, here's Ten Questions for Gail Carriger, author of the Parasol Protectorate series! Jessica Day George: First off, the most important question: Darjeeling or Earl Grey? 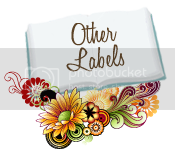 Gail Carriger: If I have to pick? Darjeeling. But normally, neither. I prefer English Breakfast. I like my tea like I like my men: robust yet smooth and gentle, easy in the morning, and not too aggressive. JDG: The Parasol Protectorate books are set in a delightfully complex alternate reality where vampires, werewolves, and steampunk technology all co-exist (though not necessarily peacefully). Was there one great “Ah HA!” moment where you decided upon these elements, or was it a conscious effort to combine your favorite things? GC: I like to say that my supernatural elements have steampunk consequences. I did want to have all the elements together in one world, but I also felt like they all went together since Victorian Gothic literature birthed the idea of both the supernatural and science fiction. The strange thing was as I did more research there were more and more ah-ha moments. Cravats, disguise neck marks . . . of course! The British army regimental system is based on werewolf pack dynamics . . . obviously. King Henry clearly broke with the church over the supernatural (the divorce thing was just a front). And if we have all these immortals mucking about in history, of course the first thing the Victorians are going to want to do is dissect them. Having the undead around gives new meaning to the word "vivisection." So technology is going to evolve differently. Lastly, if there are supernatural creatures running about there must be a scientific explanation. There simply must. JDG: What are the release dates for the last two Parasol Protectorate books? GC: Heartless is out July 1 and the last book, Timeless, is still undecided. JDG: Do you have a new project (non-Parasol) in the works? If yes, would care to give a hint? GC: Yes and no for a four book series. And that's the hint. JDG: What made you decide to be a writer? GC: A healthy dose of insanity mixed with a reckless disregard for my own survival topped with ingrained escapist tendencies. JDG: Describe your average writing day: Any rituals? A set schedule or goal? Music, no music, snacks, etc.? GC: With a project due and no day job (mine's intermittent) I write from 2 to 7 every weekday – with breaks for tea and sometimes chocolate. I have to hit 2000 words a day, no exceptions. No TV if I haven't made the goal, and I loose weekends if I'm down on my count. No music, I'm a dancer by training and if music is on, I want to dance to it, not write. The rest of the household, with the exception of the cat, is quite respectful. I have a closed-door policy. Which is to say: if the door to my office is closed my policy is to throw the nearest moveable object at anyone who disturbs me. They've learned. Even the cat. JDG: If one found oneself in the position of having to accept a marriage proposal from a supernatural, would one do better to accept a vampire or a werewolf, in your opinion? GC: Good question. I'd say it depends on your own personality. If you are asking me, specifically, I'd go for a Beta werewolf. I have my eye on Professor Lyall. 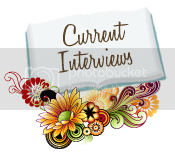 JDG: I read in another interview that you started out writing YA- do you have any inclination to write YA in the future, or do you feel that you’ve found your niche? GC: I like Jane Yolen's policy on writing. I could imagine doing many things: non-fiction, MG, educational, hard SF, picture books, cookbooks. They are all likely to all have my signature light hearted flippancy. While I do love to write dark, I find I'm not very good at it. JDG: Straitened circumstances have forced me to get rid of all domestic staff but one, which should I keep, the butler or my lady’s maid? GC: "A woman who has no lady's maid has lost her self respect." (Gosford Park) Yet, a good butler knows so many things and can be so very useful outside of the necessities of toilette. Are you a single lady or in charge of a household? Is appearance important to you? I must say, that in the modern age I lament my lack of a lady's maid far more frequently than I do a butler. I loathe doing my own hair and I have many corsets. JDG: And lastly: You are to be buried in Egyptian splendor, and must take with you everything you will need in the afterlife. What five books will you take to entertain yourself in the hereafter? GC: The Forgotten Beasts of Eld by Patricia McKillip, The Hitch Hikers Guide to the Galaxy by Douglas Adams, The Woman Who Rides Like a Man by Tamora Pierce, By the Sword by Mercedes Lackey, and Taming the Forest King by Claudia J. Edwards - all subject to change without notice. A big thank you to Gail Carriger for joining us on Bookshop Talk. You can learn more about her if you visit her website, here. And to tell you a bit more about the awesome Parasol Protectorate books, we've asked Jenn Mattson to post reviews of the first three books in the series. Look for the reviews tomorrow!